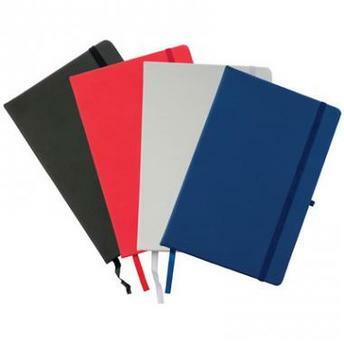 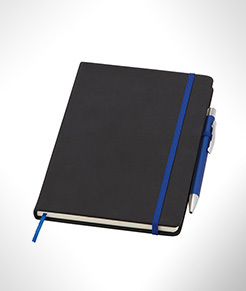 Our Noir Notebook offers super styling at a brilliant budget-friendly price. 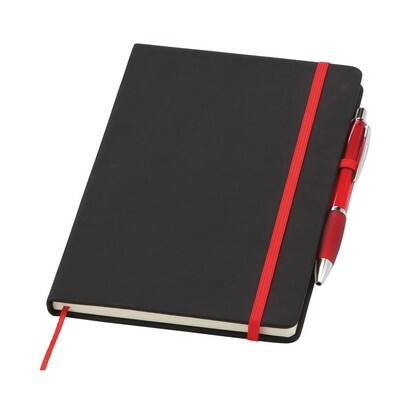 The smooth black PU cover gives this item a premium look and the coloured elasticated strap and page marker contrast perfectly against the black. 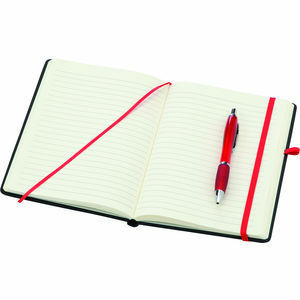 It's now available in an extended range of coloured trims.